I’m always on the trek for the most fabulous fashion forward riding apparel that I can find. They are making some that have the best details but are still fully functional. Below are some of my favorite riding shirts for the fashion forward equestrian. These will look great under a jacket, alone, or even away from barn life. Here are my picks for show season 2014. 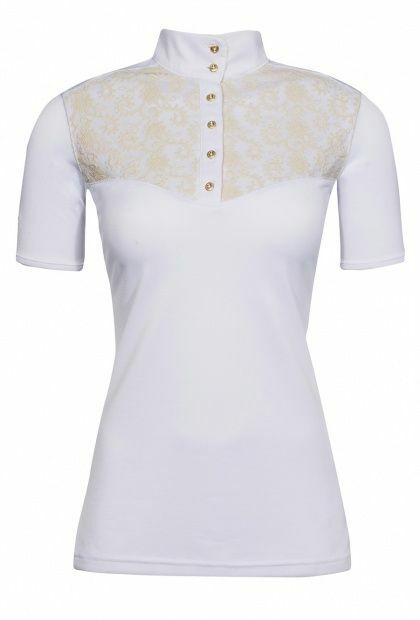 If you remember the amazing Equiline Lissome shirt from last year, this is the “New Lissome” for 2014. I’m totally in love! What I love about this shirt is the collar and button row details. This will look so streamlined under a show jacket but smart by itself. It’s a competition shirt and it has lace. For me, enough said. 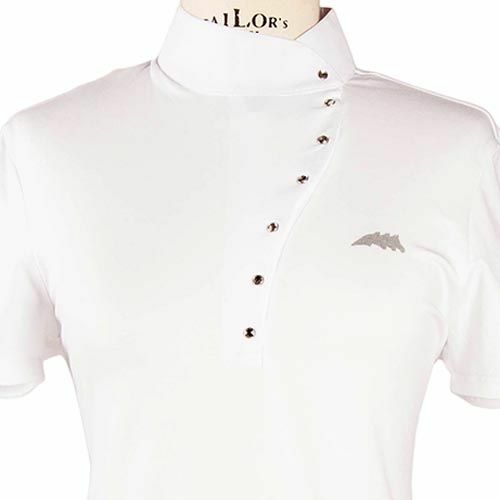 This is a classic style shirt that comes in a variety of colors. I love the feminine ruffle collar for an extra girly feel. This competition shirt is all about the buttons. 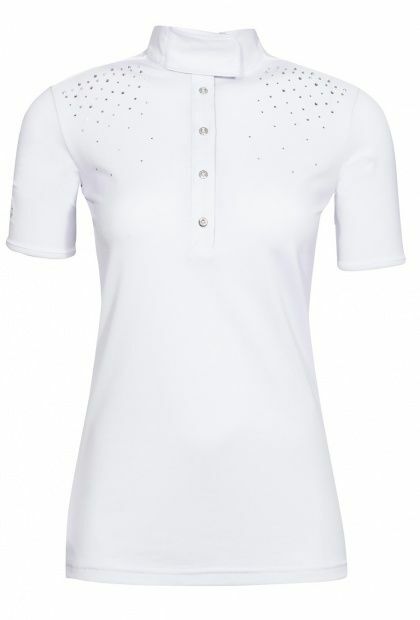 I love this unique twist on the standard white show shirt. Spicing it up! I have this Regal show shirt from last year and it’s totally gorgeous! This year’s comes in a couple more colors. I think the blush will be my next purchase! This shirt photographs beautifully and you will have everyone talking about it while you’re in the ring! A sprinkling of rhinestones is the perfect touch to any riding shirt. This is just the right amount of sparkle to wear in a schooling show tucked into breeches or under a show jacket showing just a hint. Beautiful!